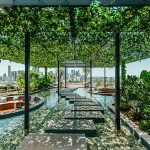 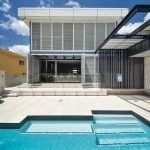 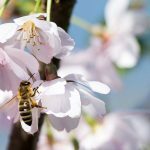 When you live in a modern apartment in the heart of the city or in a sky-high coastal abode where wind, sun, rain, salt and sand are a daily onslaught, protection from the elements is paramount. 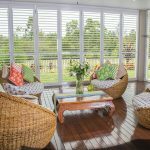 It takes a strong and durable option of shutters to shade your lofty lifestyle, and luckily there’s no need to sacrifice your style. 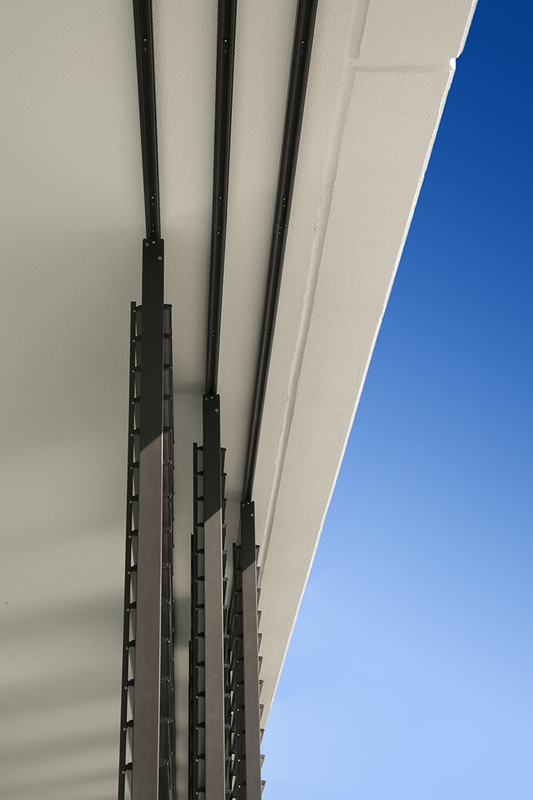 The Shutterflex Catalina Federation Shutter is the ideal option to enhance and protect your balconies, windows, and outdoor areas, offering shade without forsaking great design. 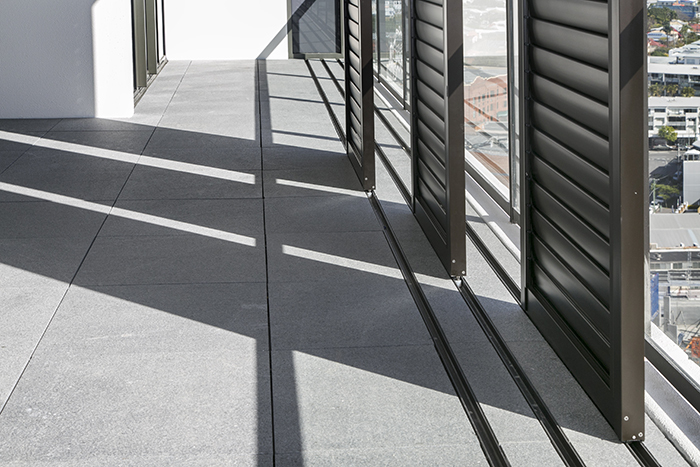 With 80 order coated colours or 14 timber look finishes to choose from, you can tailor your outdoor spaces to match your apartment’s interior. 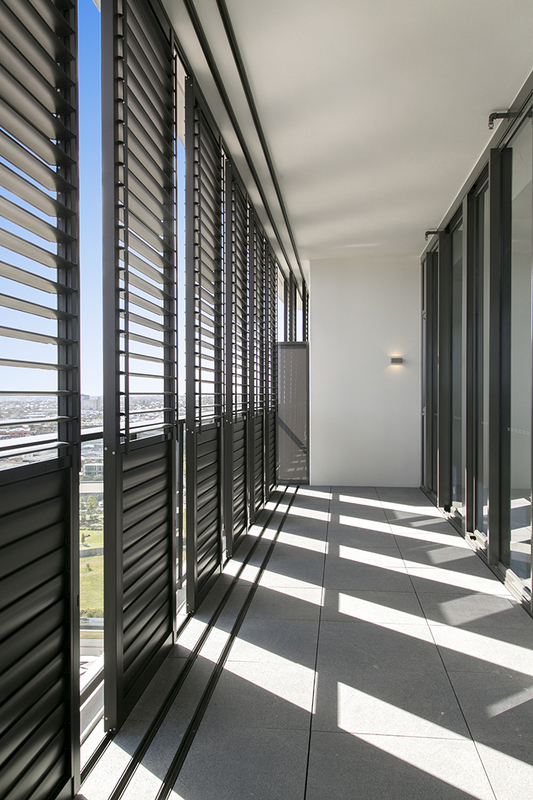 Our favourite pick of the lot would have to be the sleek and modern powder coated black Catalina Federation Shutter, seen here gracing a contemporary apartment project in Brisbane city. 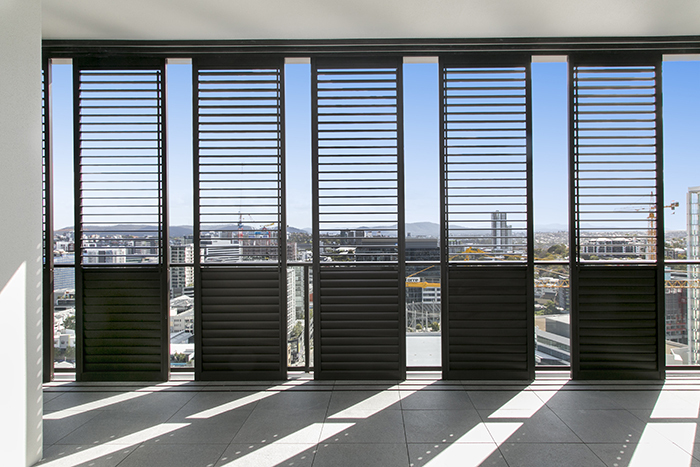 It’s a perfect choice of finish, so you can take in the views or a cheeky sundowner without fear of rain, glare or over exposure.